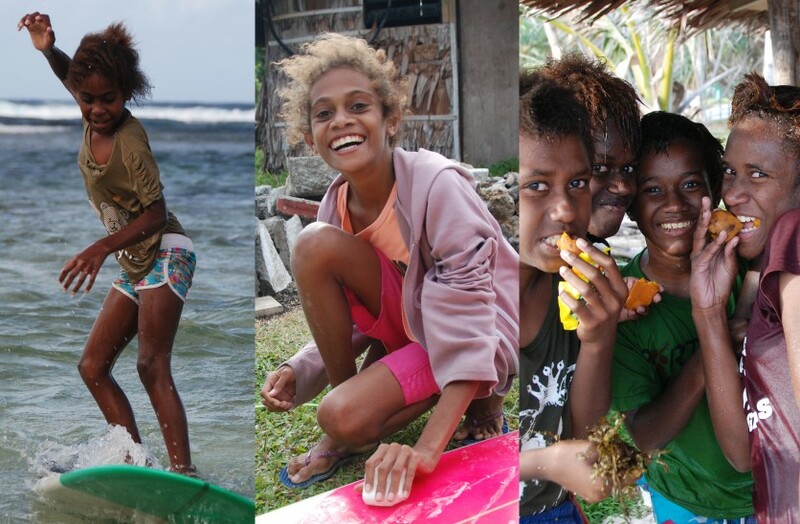 The Vanuatu Surfing Association is proud to call itself the home of women and girls surfing in Vanuatu. We aim to help women and girls realize the personal and professional development opportunities surfing can offer and over the past decade have had significant success in increasing the participation of women in the waves in Vanuatu. “Surfing really inspires a lot of confidence in our girls – they get a real sense of camraderie from being out in the surf together. International travel to contests adds legitimacy to the hours spent training as well as boosts their self-esteem and we find it is an essential component of reward for effort” says VSA Secretary Stephanie Mahuk. “Our women surfers have been invited to festivals and international contests, they have featured in magazines, internet articles as well as in short films. We work to feature their perspectives on our social media. In the process many of them have become eloquent advocates for their home communities and for women in surfing. Here at the VSA we work to support our women surfers to take up opportunities to further their aims whether that’s in surfing, through travel, or more often, back in their home communities. Surfing is really a springboard for wider success for many of our girls, and we aim to get more girls involved in the future” says Ms Mahuk. VSA’s ‘Day blong Girls’ are girl specific learn to surf days which teach girls the basics of surfing, as well as give young women surfers the chance to become a teacher for a day. At a recent ‘Day blong Girls’ in Pango Village, girls from the VSA taught over 100 young girls from the Pango Central School and Malapoa College to surf. Young Vanuatu surfer and 2014 Melanesian Longboard Champion Resmah Kalotiti says “there really is nothing like learning to surf. That first time when you think to yourself yeah I can do this! Teaching the young girls from Pango Central was such a great experience. I think teaching is about as much fun as learning to surf yourself, watching them catch that first wave, and thinking ‘now their hooked (on surfing)”. 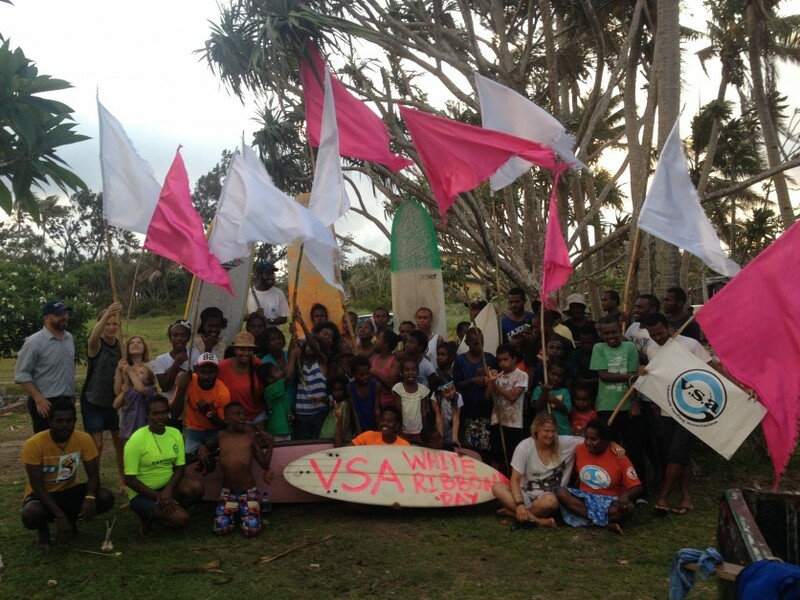 The VSA also aims to engage local, regional and global communities to help further womens surfing development in Vanuatu. Through their programs and it’s easy for people to get involved. 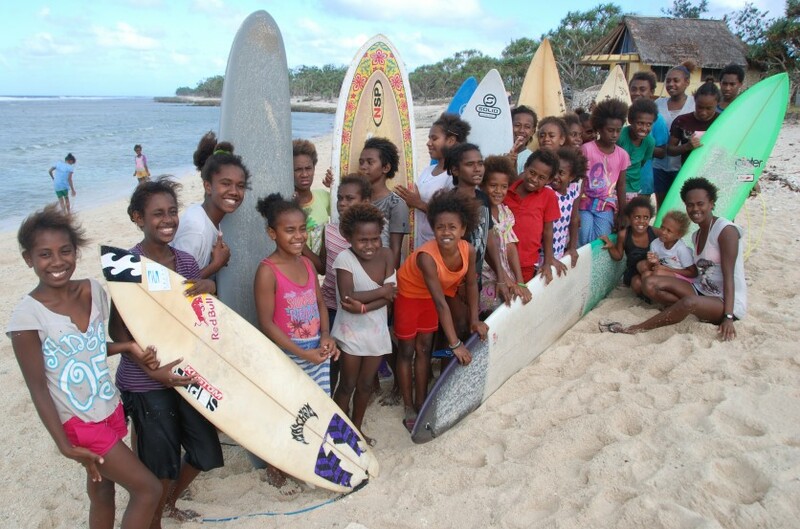 Through the VSA’s efforts the first generation of women and girl surfers in Vanuatu are now riding the waves to success.